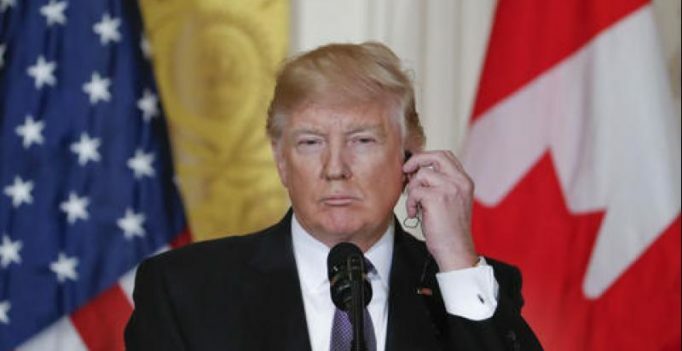 Washington: Members of Donald Trump’s 2016 presidential campaign had repeated contacts with senior Russian intelligence officials in the year before he won the White House, The New York Times reported on Tuesday. Citing “four current and former American officials,” the report said that intercepted phone calls and phone records showed the repeated contacts with Moscow’s intelligence community. US “law enforcement and intelligence agencies intercepted the communications around the same time that they were discovering evidence that Russia was trying to disrupt the presidential election by hacking into the Democratic National Committee,” the Times said citing three of the officials who spoke privately due to the ongoing investigation. The nature of the purported calls was not disclosed. The only Trump aide named was Paul Manafort. Manafort, Trump’s campaign chairman for several months last year and a former political consultant in Russia and Ukraine, shrugged off the report. “It’s not like these people wear badges that say, ‘I’m a Russian intelligence officer,'” he added. The officials interviewed by the paper had so far seen no evidence suggesting that cooperation had existed. In January, US intelligence officials said in a report that Russia intervened in the US electoral process at least in part to help Trump win. He has spoken often about the need for a closer relationship between the United States and Russia.